Enjoy this super comfortable and extra light yoga mat tote daily. With its Unique Soft Handles you will no longer think about how many things to take with you today. This fashionable duffle yoga tote is absolutely perfect to hit gym as well as yoga studio. The design is clean, functional perfect for your sport and travel essentials, yoga mat, laptop, two blocks, accessories and water bottle. This duffle yoga mat bag contains many functional and roomy pockets inside and one zipped pocket outside. This bag is dedicated to all inspired by sport people. Carry your mat through the city and look amazingly chick. 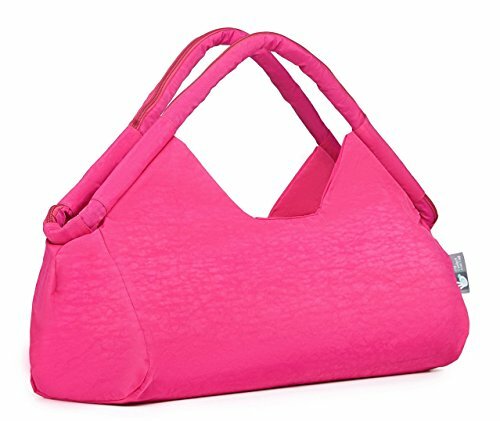 LARGE but not bulky yoga duffle tote bag fits Yoga mat, two blocks, water bottle, clothes and more.. If you have any questions about this product by My Perfect Mat Bag, contact us by completing and submitting the form below. If you are looking for a specif part number, please include it with your message.